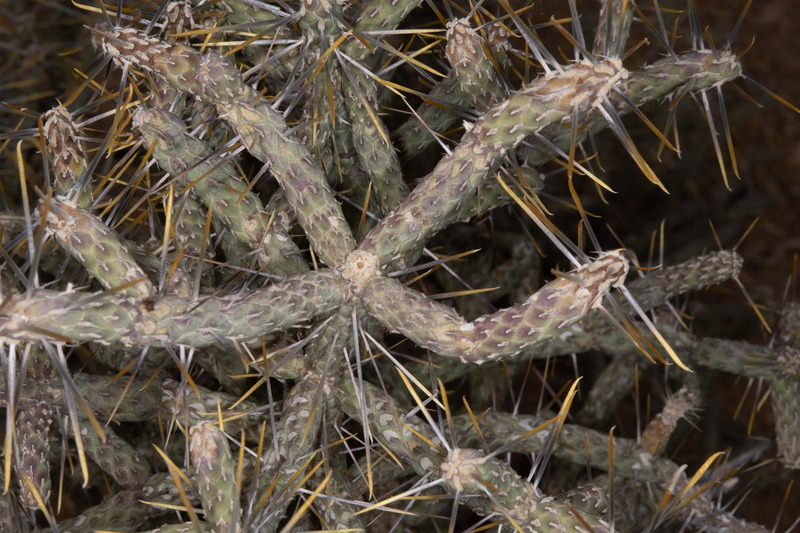 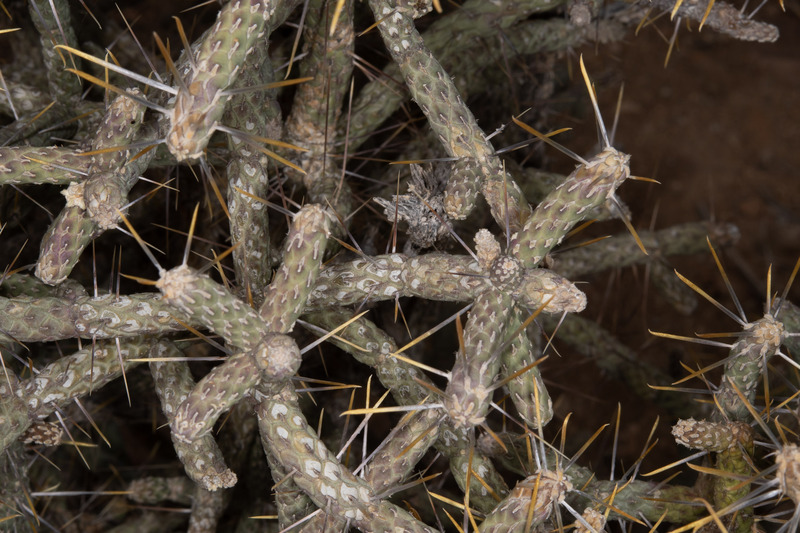 Diamond cholla is so named because the pattern of bumps (technically tubercules) along the stem segments is diamond-shaped. 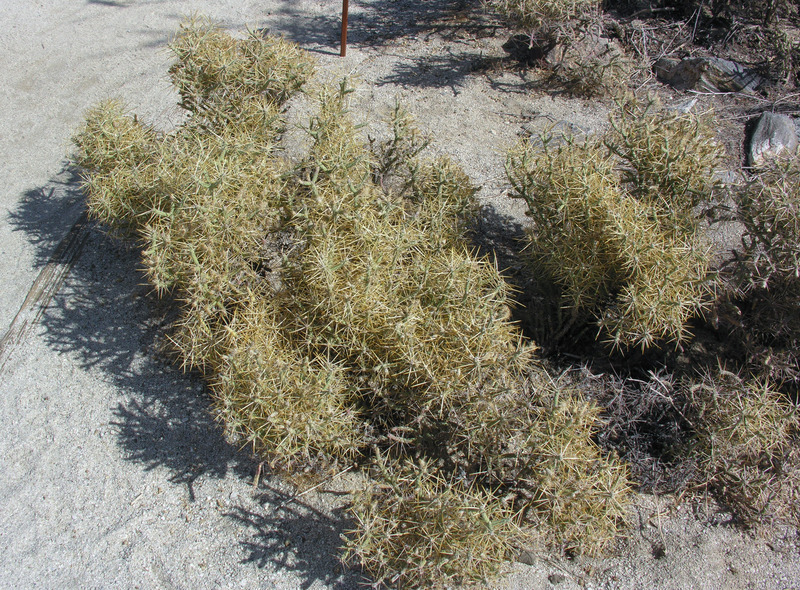 The “pencil” in other common names refers to the narrow, pencil-like stems. 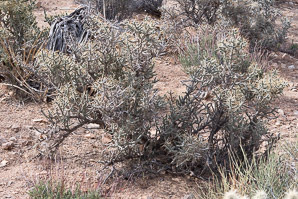 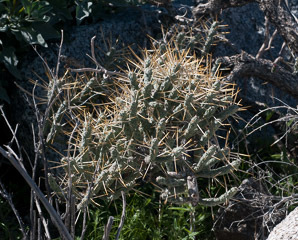 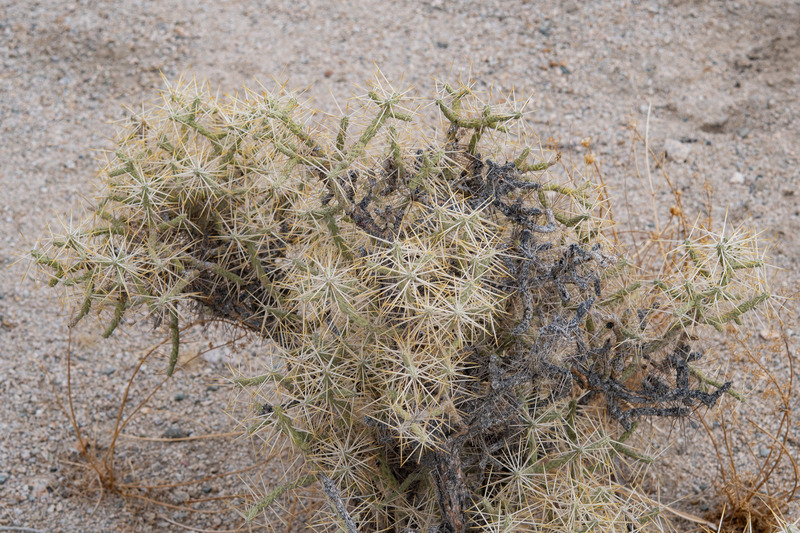 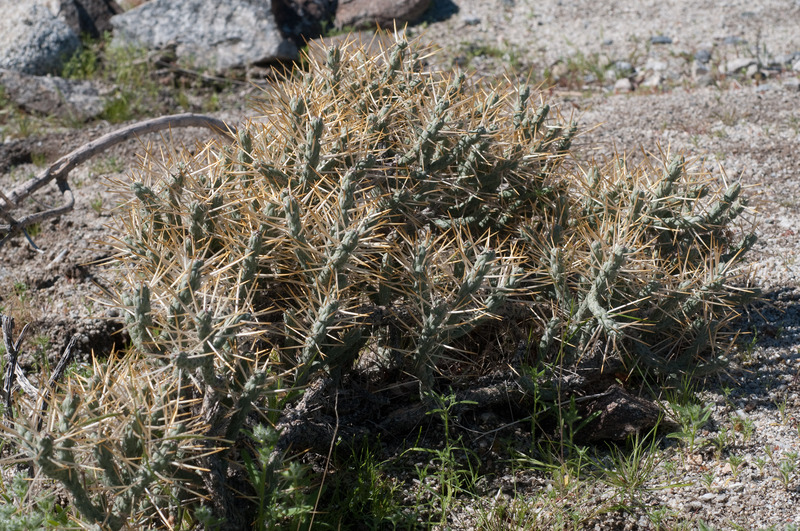 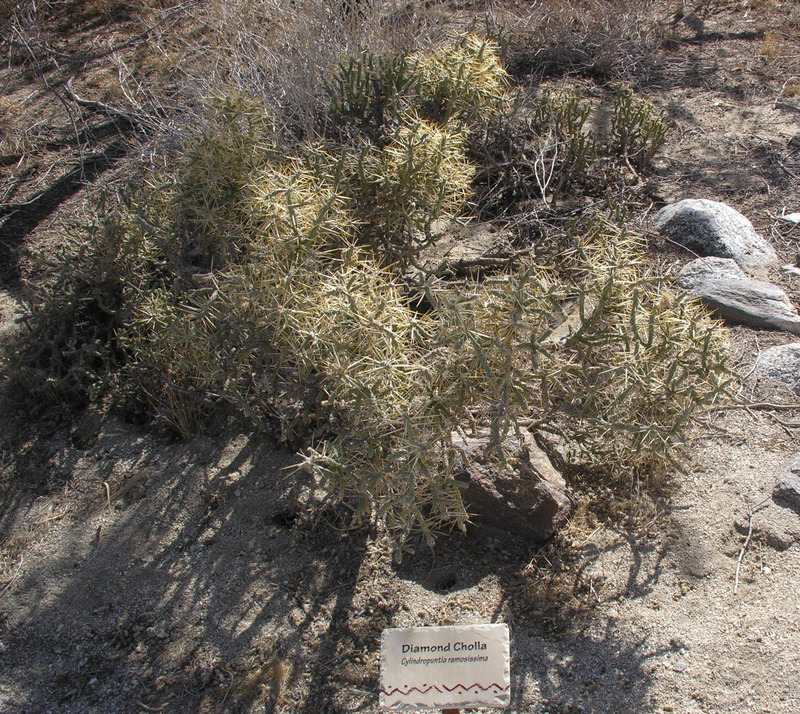 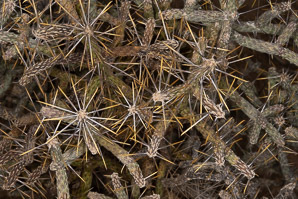 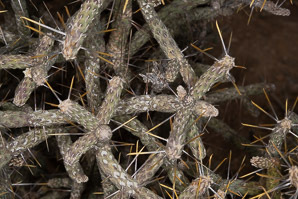 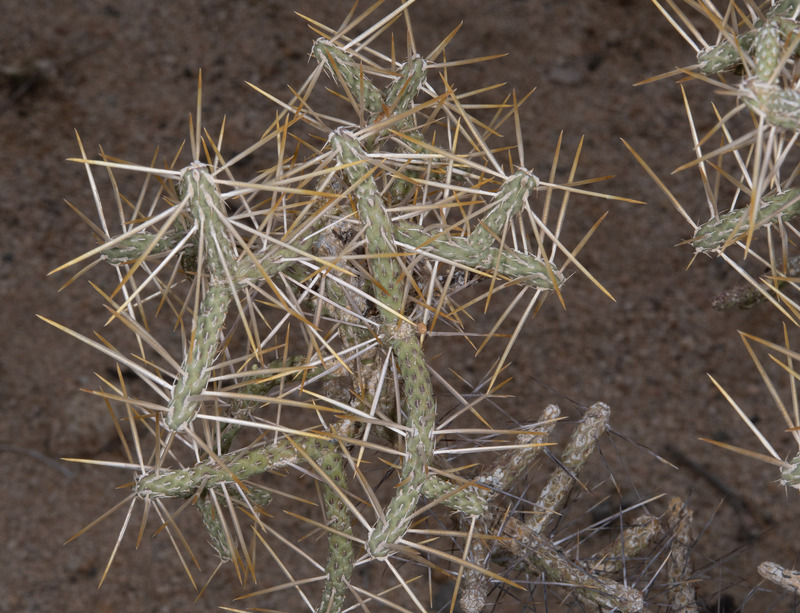 Identification: Diamond cholla is multiply branched, resembling either a shrub or a small tree, 20-79" (50-200 cm) tall. Stem segments are ¾-4" (2-10 cm) long, and only ⅛-⅜" (4-10 mm) in diameter. 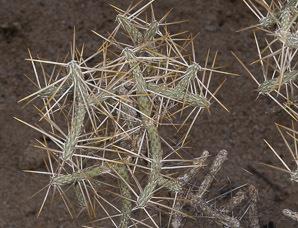 Unusually long spines ⅞-2" (2.5-6 cm) long occur in groups of one to five. The spine groups are widely spaced, and the spines are tan to reddish brown or deep purple, and finally to gray. Flowers are brown, tinged with red; sometimes orange or pink. 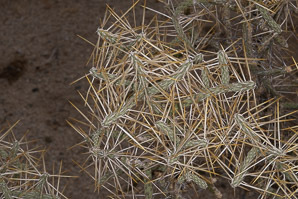 Fruits or oval-shaped, tan, ½-1" (1.5-3 cm) × ⅜-½" (1-1.5 cm). 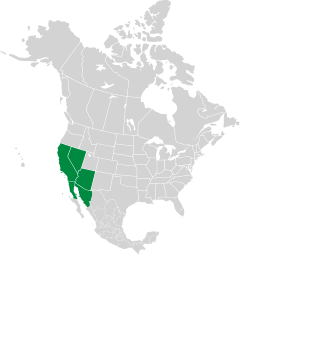 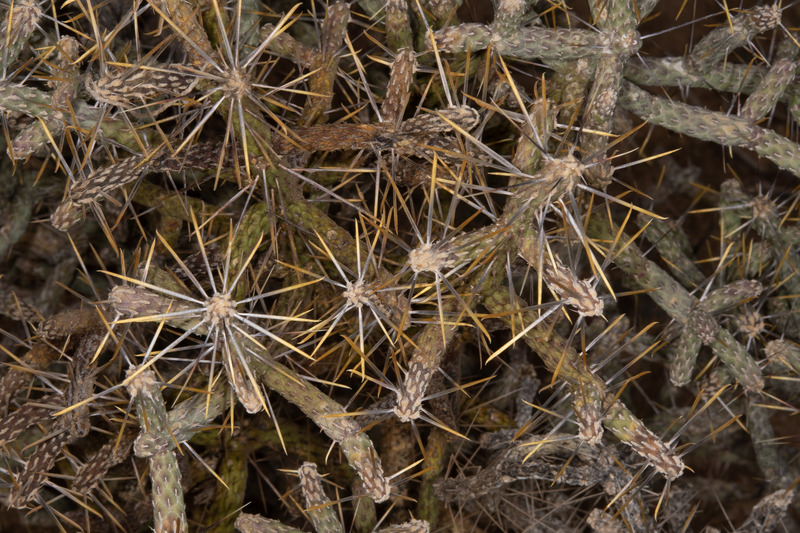 Cylindropuntia ramosissima description by Thomas H. Kent, last updated 12 Oct 2018.